Shredding at Your Location — And It Could Be Tomorrow! When you need private records and papers destroyed conveniently and securely give us a call! We’ll send our trained professional staff to your Buzzards Bay MA location tomorrow or any day you prefer. We service our customers Monday through Friday. Need A Quote & Appointment? Here’s How! Every resident and business in Buzzards Bay MA has different document destruction needs so we have knowledgeable staff that will help you choose the best service for your situation. Just call our office and we’ll walk you through the whole process including giving you a reasonable quote right away. On the same call can make your appointment on a day that works for you. With A1 DATASHRED, you have the convenience of having your confidential papers destroyed at your location. Our uniformed technicians will present their picture IDs so you will be comfortable. Your documents will be placed and locked in our secure bins. The bin is then rolled to our truck where it will be lifted, emptied and shredded by an automated system. You can watch your papers being emptied into the truck and shredded on our specialty screen on the side of the truck. One-time Shredding – Companies with an occasional need can benefit from our professional onsite shredding service. Our onetime purge service can be booked anytime you decide you would like to destroy business records. It could be a single time or intermittently, it’s up to you. Scheduled Shredding – For firms that are disposing of papers often if not every day we offer our scheduled service. This is a program that makes the compliant destruction of business records easy. We supply your office with our locked containers so you can deposit documents in a secure place anytime you need to. Then our staff arrives at your office on a repeating schedule to empty and shred the contents of each container. Your schedule can be weekly, bi-weekly, every four weeks or monthly. You keep all your personal documents at home. When you decide some of your private papers are no longer needed they need to be shredded to make sure your information does not get into the wrong hands. Identity theft is a big problem, and a small home shredder can only handle a few sheets at a time. Save yourself hours by calling A1 DATASHRED for our onsite residential shredding service. Recycling old computers is great, but there’s a lot of information on that hard drive that could fall into the wrong hands. Protect that information with on-site hard drive destruction. We record the serial number, destroy the hard drive and give you a certificate to verify that your hard drive is physically destroyed. Erasing or wiping the information off a hard drive is not foolproof only physical destruction of a hard drive will make the recovery of the information not possible. Not all shredding services are certified.  A1 DATASHRED is a AAA Certified document destruction company with the National Association of Information Destruction (NAID). This means we handle everything with great care and abide by the highest security protocols in our industry. Choose only the best for your shredding needs. We know there’s a lot of concern about the environment, and no one wants to put more waste in landfills. Everything we shred is gets recycled and used to make other products like paper towels and other paper goods. Every ton of documents we shred saves 17 trees! When you choose A1 DATASHRED, you’re getting a great service that’s great to the environment too.